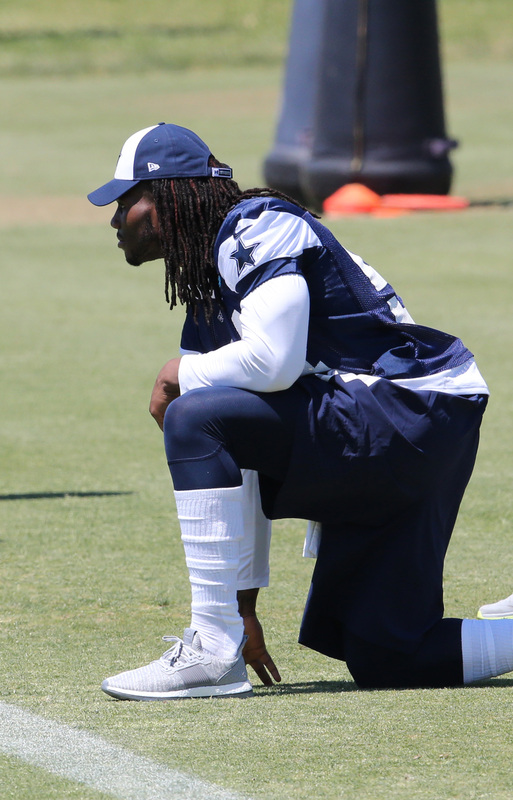 After sitting out his rookie year with ACL and LCL injuries in his left knee and playing last season in an AFO brace for drop foot, Cowboys linebacker Jaylon Smith has confirmed that he is no longer wearing the brace, the Star-Telegram’s Clarence Hill writes. A highly touted prospect coming out of Notre Dame, Smith fell to the second round in 2016 after suffering the serious knee injury in his final collegiate game. He returned to the field in 2017 and finished second on the team with 99 tackles despite inconsistent performances. After a subpar showing in 2017, the Cowboys decided to address the linebacker group in the first round of the 2018 Draft by selecting Boise State’s Leighton Vander Esch. The rookie is expected to slide right in at middle linebacker, while Smith and Sean Lee man the outside spots. Sticking with the Cowboys, it was reported earlier in the week that third-year defensive tackle Maliek Collins broke his foot during the team’s offseason program. The Dallas Morning News’ David Moore now reports the run-clogging lineman is likely to undergo surgery early next week (Twitter link). The injury is expected to sideline him for around three months, and the hope is he will return around the middle of training camp. The Patriots offensive coordinator Josh McDaniels spurned a head-coaching gig with the Colts to return to New England in 2018. Though head coach Bill Belichick has said he would take his mentorship “to the next level,” McDaniels told the Providence Journal’s Mark Daniels that his role remains the same in 2018. Though his role will stay the same, McDaniels is surely being groomed to take over once the future Hall of Fame coach decides to call it quits. Jets CEO Christopher Johnson is convinced first-round pick Sam Darnold will be a turning point in the franchise’s history, the New York Post’s Brian Lewis writes. “I honestly think they’re going to look back 20 years from now and say this is the moment the Jets shifted into a new year, that they became a great team,” Johnson said. Darnold was heralded by many as the top quarterback in the draft but fell to New York when the Browns opted for Baker Mayfield at No. 1. Also with the Jets, the teams lost its director of college scouting, Matt Bazirgan, who left to become the Texans’ director of player personnel, the New York Post’s Brian Costello writes. He had been with the Jets since 2004 as a college scout. This marks the second straight year the team has had to replace the position. The record-setting contract extension the Lions awarded quarterback Matthew Stafford on Monday will raise Redskins signal-caller Kirk Cousins‘ asking price and make it even more difficult for the team to re-sign him at season’s end, Mike Jones of the Washington Post points out. With Cousins scheduled to hit free agency next winter, the Redskins could place the franchise tag on him for a third straight year if there’s no deal in place prior to free agency, but that would mean guaranteeing him upward of $34MM. Jones expects the Redskins to apply the transition tag for a lesser cost – $28MM – and ultimately lose Cousins to a team willing to give him a massive long-term deal. The Redskins wouldn’t be entitled to any compensation in that scenario. Eagles quarterback Nick Foles hasn’t taken the field this preseason because of an elbow injury. Specifically, Foles has a flexor strain and inflammation around a nerve in his right elbow, a source told Les Bowen of Philly.com. While the source indicated that Foles had the same problem during his time with the Chiefs last year, it won’t affect his place on the Eagles’ roster or his regular-season availability, Bowen notes. The plan remains for him to back up Carson Wentz beginning in Week 1. Cowboys tight end Rico Gathers has been dealing with a concussion for two weeks and could head to injured reserve as a result, Drew Davison of the Fort Worth Star-Telegram writes. An IR placement for Gathers would keep him out of game action for at least the first eight weeks of the season and deprive Dallas of a burgeoning weapon. The former Baylor basketball player and 2016 sixth-round pick was a shoo-in to make the Cowboys’ 53-man roster prior to his injury, Davison relays. Gathers’ absence would leave the Cowboys with the experienced James Hanna as their No. 2 tight end behind Jason Witten, though he’s coming off a season lost to injuries and isn’t a receiving threat. 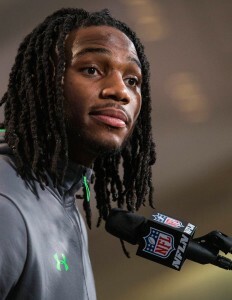 Owner Jerry Jones says that Jaylon Smith will have an “accelerated approach” towards the upcoming season (Twitter link via Clarence Hill of the Star-Telegram). That’s a departure in philosophy from before, when Jones said the team would be deliberate in its approach with the Notre Dame product. Tight end Will Tye, defensive ends Kerry Wynn and Romeo Okwara, wide receiver Dwayne Harris, kicker Aldrick Rosas and offensive lineman D.J. Fluker aren’t sure bets to make the Giants’ roster and could be on the block, James Kratch of NJ.com observes. Although, given that trades in the NFL are rare and nobody from that group holds much appeal, Kratch doesn’t expect Big Blue to make any deals in the coming days. It has been assumed for some time that Josh McCown would at least open the 2017 season as the Jets‘ starting quarterback, but the team needs to give Christian Hackenberg a look this year in order to see what they have in him, and to that end, Hackenberg got a surprise start in last night’s preseason matchup against the Lions. It did not go well. Hackenberg took a big step backward from his solid outing last week, going 2-for-6 for 14 yards. He was sacked twice, he fumbled once, and four of his five drives were three-and-outs. Although head coach Todd Bowles attempted to take some of the heat off Hackenberg by pointing out that the offensive line did not give him much of a chance, Brian Costello of the New York Post believes McCown won the team’s starting job last night, and he didn’t even have to take a snap to do it. McCown was initially supposed to take more snaps in last night’s game than he did in the Jets‘ first preseason contest, but Bowles said he changed his mind on Thursday night, per Manish Mehta of the New York Daily News. Bowles said McCown “has played in a million preseason games” and therefore elected to give Hackenberg a shot. However, Mehta reports that McCown was told by a media relations advisor to not speak with reporters after the game, even though McCown was apparently open to talking. It is unclear what the team’s motivation in “censoring” McCown would be, but it is an interesting move just the same. Unlike Hackenberg, Jets No. 3 signal-caller Bryce Petty performed fairly well last night, going 15-for-24 for 160 yards and leading two field goal drives. Per Mehta, Petty has secured a roster spot unless he suffers a complete meltdown over the next several weeks. Mehta also observes that Ross Martin, who made a pair of short field goals last night to go along with a miss from 56 yards, remains the front-runner to win the Jets‘ kicking job over Chandler Catanzaro, who missed a 55-yarder in the preseason opener but did not get an attempt last night. Eagles running back LeGarrette Blount is coming off one of his best seasons, but he struggled to find a new home in free agency this offseason, and the short-yardage specialist may be on the roster bubble in Philly, as Mike Florio of Pro Football Talk (citing Matt Lombardo of NJ.com) writes. Although Blount does not really fit the Eagles’ offense, it may not be wise to cut him, as Wendell Smallwood has had difficulty staying healthy, Darren Sproles is 34, and Donnel Pumphrey is a fourth-round rookie. Cowboys No. 2 QB Kellen Moore turned in another poor performance during last night’s contest against the Colts, and while the team continues to publicly support him, an unnamed source tells Clarence E. Hill, Jr. of the Fort Worth Star-Telegram that Moore will be the subject of conversation at personnel meetings this week. It is unclear what that means at this point, because the team will certainly not promote undrafted rookie Cooper Rush to the backup job, no matter how well he has played, and the Cowboys have not yet considered adding a proven free agent to compete with Moore. It was a different story for Cowboys linebacker Jaylon Smith, who finally played in a football game last night after 596 days on the sidelines. Smith, who suffered a gruesome knee injury during the final game of his collegiate career on January 1, 2016, saw his draft stock plummet as a result and was ultimately scooped up by Dallas in the second round of the 2016 draft (he was originally considered a top-10, or even top-5, talent). The Cowboys knew 2016 would essentially be a medical redshirt year for Smith, but they also knew that, if Smith could overcome the injury, they could have something special on their hands. The nerve in Smith’s leg continues to regenerate, and as Brandon George of the Dallas Morning News writes, Smith looked solid in last night’s preseason game. He was in for 12 snaps, he moved well, and he was quick to the ball, further solidifying the team;s belief that he will be a significant contributor this year. The Cowboys should suspend Ezekiel Elliott themselves, Tim Cowlishaw of the Dallas Morning News opines. Under the league’s personal conduct policy, Elliott’s involvement in a Sunday night brawl could still impact a potential suspension, even if he is not found of any legal wrongdoing (after authorities “suspended” the investigation, legal consequences seem unlikely). Cowlishaw seems to think that a two-game suspension is on the way from the NFL for last year’s abuse allegations against Elliott, so he figures the Cowboys might as well get ahead of the situation while sending a stern message to the running back. Elliott may be guilty of some poor decision making, but he has not been found guilty of any crimes since joining the Cowboys. The running back’s odds of avoiding suspension could be a lot better than Cowlishaw seems to think, and I think it would be foolish for the Cowboys to take him out of action for 1/8th of the season instead of riding things out. According to a recent electromyogram, the nerve in the leg of Cowboys linebacker Jaylon Smith is continuing to regenerate, Todd Archer of ESPN.com hears from a source. Smith will take the field with the team in training camp and there is hope of a full recovery months down the road. For his part, the Notre Dame product says he feels as good as he did pre-injury. The Cowboys have the seventh-best roster in the NFL, Nate Davis of USA Today writes. Davis assessed the talent of each unit of all 32 teams and gave the Cowboys a composite ranking of 12.9. Davis personally fears that Dak Prescott could be in for a sophomore slump and, apparently, the team’s departures in free agency have set them back in his mind. If Elliott is suspended, he’ll have to repay the team a portion of his signing bonus. We learned yesterday that long-term contract talks between the Redskins and quarterback Kirk Cousins were finally progressing, though Cousins is still holding all the cards in those negotiations. After all, since it would cost Washington north of $34MM to put the franchise tag on Cousins for the third time in 2018, Cousins can afford to play hardball, and Charles Robinson of Yahoo.com says it will still take $50-60MM in guaranteed money to get an extension done. Indeed, the Raiders and Lions are preparing to hand out massive paychecks to Derek Carr and Matthew Stafford, respectively, the Bears just gave Mike Glennon — who threw 11 passes over the past two seasons — essentially a one-year, $16MM deal, and the 2018 class of rookie quarterbacks is supposed to be better than this year’s crop, but it still lacks any Andrew Luck-type certainties, all of which enhances Cousins’ value. The Eagles reportedly have no interest in reuniting with old friend Jeremy Maclin, and Les Bowen of the Philadelphia Inquirer thinks he knows why. Bowen says the Eagles are willing to sign a free agent stopgap like LeGarrette Blount if they do not have young, promising options at a given position, but otherwise they do not want to stunt the growth of a talented prospect that could blossom into a quality starter by the time they are truly ready to compete for a championship in a couple of years. Maclin may not be especially productive by that time, whereas rookie wideouts Mack Hollins and Shelton Gibson would just be entering their prime. Hollins in particular is making the Philadelphia coaching staff excited, and as ESPN’s Adam Caplan tweets, Hollins is well-regarded around the league and would have been a second- or third-round draft choice this year if not for a broken collarbone that hurt his draft stock. 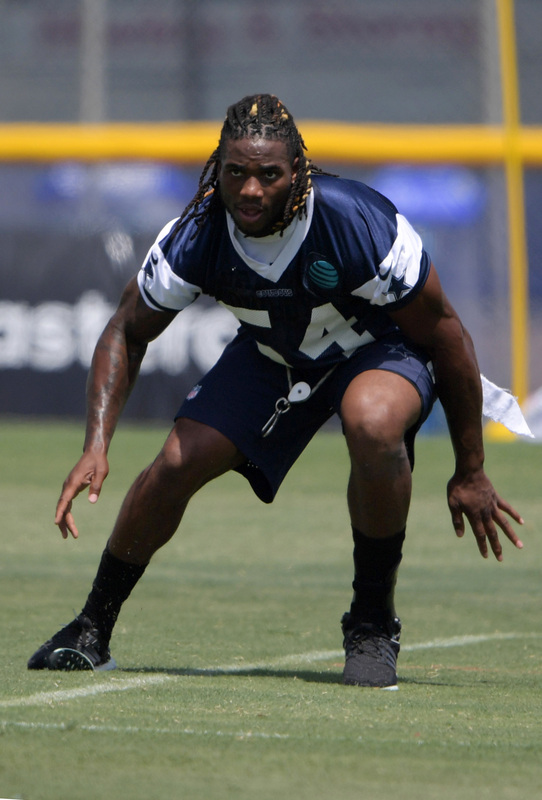 Reporters finally got the opportunity to see Cowboys linebacker Jaylon Smith on the field yesterday, as Schuyler Dixon of the Associated Press reports that Smith did individual drills and some 7-on-7 work with reporters watching. It was Smith’s sixth practice overall but the first one that the media was allowed to observe, and afterwards, Smith was characteristically vague about his practice time and recovery. However, he remains adamant that he will be ready for Dallas’ September 10 season opener. We learned earlier tonight that NFL agents and front office personnel expect Giants receiver Odell Beckham to land a contract with a total value very close to, or even exceeding, $100MM. Cowboys linebacker Jaylon Smith is still recovering from the knee injury that forced him down 2016 draft boards and caused him to miss the entirety of his rookie season, but he’s confident he’ll be ready for the 2017 season opener, according to David Moore of the Dallas Morning News (Twitter link). Smith is still using a brace for his drop foot condition, and it’s unclear if he’ll be forced to wear it during the regular season, tweets Charean Williams of the Star Telegram. Ultimately, the brace use will depend on the condition of Smith’s nerve, which is reportedly regenerating. If Smith is required to wear the brace for drop foot, he’d be the first NFL player to do so. In his final season at Notre Dame, Smith compiled 115 tackles, one sack, and one forced fumble. Prior to his unfortunate injury, Smith was widely projected as a top 10 pick in the 2016 draft. Instead, he fell to the Cowboys in the second round. If he’s able to make a recovery, Dallas’ risk could pay major dividends in 2017. 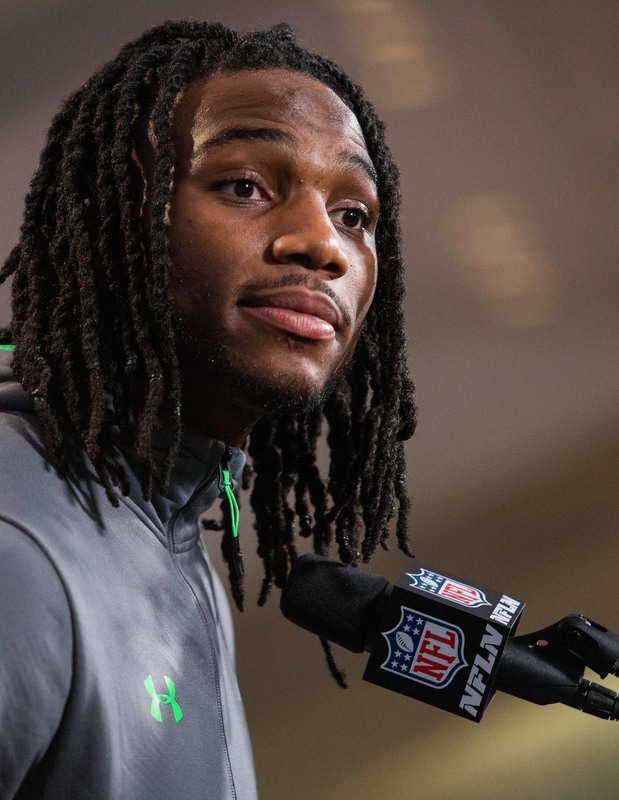 The Cowboys and Jaylon Smith have received some good news. The linebacker’s damaged nerve is regenerating, according to Ian Rapoport of NFL.com (on Twitter). He has a long way to go, but he can now lift is foot and is getting back muscle control. Earlier this offseason, word was that Smith’s nerve would not be coming back to life and that he would be forced to play football with drop foot. The plan was for the Notre Dame product to play the season with a brace that would stabilize his leg, making him the first NFL player to ever attempt to take the field with the condition. However, the latest developments are a positive sign for Smith and may allow him to play at 100% – or something close to it. Over the weekend, word emerged that Smith could be ready in time for team OTAs. This could be wishful/premature thinking, but there’s certainly reason for hope now in Dallas. Jaylon Smith To Be Ready For OTAs? Cowboys’ 2016 second-round pick Jaylon Smith is expected to be ready for OTAs, as Josh Clark of CBS-DFW writes. Smith, of course, was expected to be a Top-10 pick in the 2016 draft, but a major knee injury suffered late in his collegiate career put his NFL dreams in flux and caused his draft stock to plummet. Dallas eventually nabbed him with the 34th-overall selection, knowing he would miss at least his entire rookie season but betting on his vast upside. Since then, there have been differing viewpoints on whether Smith will be able to contribute in 2017. Dallas brass, inevitably, has expressed the most optimism, whereas national reporters have heard less promising opinions. For instance, we heard in March that there has been no significant change in the nerve damage in Smith’s knee, and that, despite the public statements issued by club owner Jerry Jones and COO Stephen Jones, the team is not especially bullish on Smith’s prospects. It is therefore worth noting that this most recent report is based on a statement from Stephen Jones and should probably be taken with a grain of salt. Smith has been participating in the team’s voluntary offseason workouts at The Star in Frisco, which is certainly good news, but it is unclear at this point exactly what those workouts entail. Given Smith’s potential, it would be good not just for the Cowboys, but for football is a whole, if Jones is right. Jerry Jones is bullish on linebacker Jaylon Smith‘s prospects at 2017 contributions, but Albert Breer of TheMMQB.com hears the situation isn’t exactly as rosy, as the Cowboys view anything Smith gives them in 2017 as a bonus. While the damaged nerve in Smith’s foot started firing again, the 2016 second-round pick is nowhere close to full strength and might never get there again, Breer notes. The MMQB scribe also doubts whether Smith can be effective playing on a brace to deal with the unique drop foot issue with which the ex-Notre Dame star became saddled. And playing through this injury puts Smith at risk for further damage, Dr. Thomas Gill told Breer. Free agent defensive tackle Terrell McClain is already expected to draw interest from Atlanta and Seattle, and the Redskins are also expected to give the 28-year-old a call, according to Jane Slater of NFL.com (Twitter link). McClain is coming off the best season of his career, as he started more 12 or more games for the first time since 2012. In 15 starts, McClain put up 39 tackles, 2.5 sacks, and two forced fumbles. The Bears were expected to meet with Brian Hoyer‘s agent last weekend, and the club reportedly expressed its desire to re-sign the veteran quarterback, tweets Jason La Canfora of CBSSports.com. Chicago is expected to pursue other signal-callers this offseason, but Hoyer could serve as something of a bridge option if the Bears roll with a young passer. Hoyer will have plenty of other suitors, however, per La Canfora. Linebacker Audie Cole will reach free agency without inking a new Vikings deal, but a return to Minnesota is possible, per Andrew Krammer of the Minneapolis Star Tribune (Twitter link). Cole, 27, appeared in all 16 games for the Vikings last year but didn’t start a single contest. While played only 35 defensive snaps, Cole did play on more than 65% of the Vikes’ special teams snaps.